What does Pope Emeritus mean? The word “emeritus” comes from Latin. It’s an adjective that means “retired” but it is also used to honour the position once held by the retired person. The most common usage is with professors who are still professors even if they’re not teaching any more. However, presidents, prime ministers and bishops also use the title. 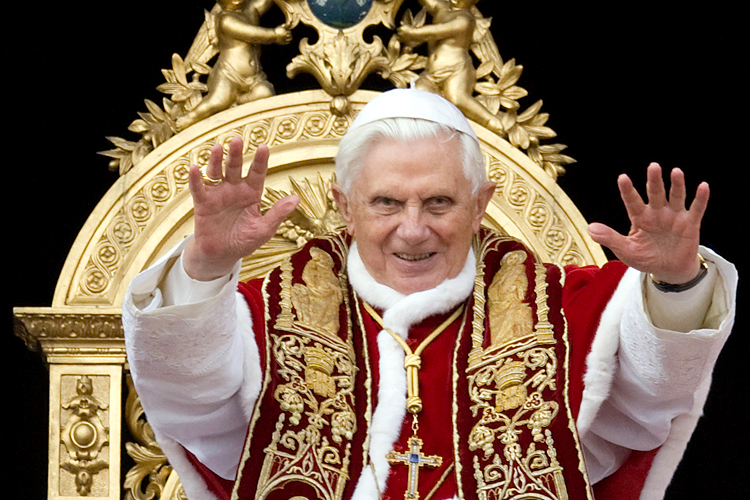 In February 26th 2013 the Vatican announced that the retiring Pope Benedict XVI would keep the name Benedict (birth name: Joseph Aloisius Ratzinger), would dress in white without the mozzetta and become known as pope emeritus. Benedict is the first pope to resign since 1415 when Pope Gregory XII was forced out of office thus ending the Western Schism. The Western Schism of 1378 to 1417 wa a time when the Catholic Church was split and two different Popes (both elected by the same people) claimed the title. What does Pope Emeritus mean? It means the honourable and former Pope. Who is the Pope Emeritus? There may have only been one Pope Emeritus in the history of the church todate and he is Pope Emeritus Benedict XVI. Does the retirement of a Pope mean anything to you? Does it feel like you’re living through an incredibly rare moment in history to you or is this just background news?